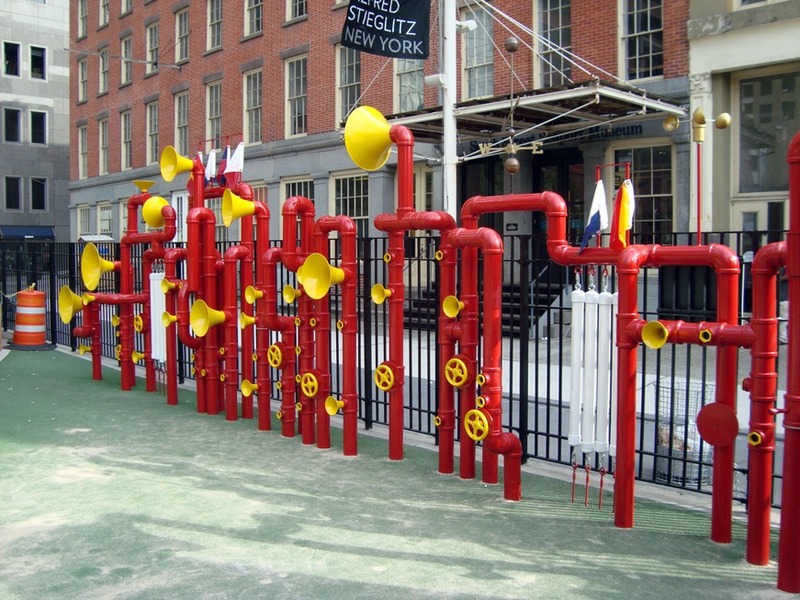 Imagination Playground is a boutique playground opened in 2009 designed by the Rockwell Group. It is an interesting mixture of informal play elements, nature play, adventure play and fixed play. Designed loosely around a nautical theme near the South Street Seaport. This is the closest NYC, (or any other US city except for Irvine and Huntington Beach both in Southern California) gets to an Adventure Playground and the ethos of Free Play. It has moving play elements in it - large blue plastic shapes that are brought out in the morning to allow a form of free play. There is a play hut and a play worker onsite. There are more secluded areas where small tents and shacks can be built using pieces of canvas and a circular timber platform creates an open informal play area.